Travel retail sales continue to grow strongly and the upcoming TFWA World Exhibition will act as the launchpad for many tempting new product and bespoke packaging offers. Duty free and travel retail sales in 2012 exceeded US$49 billion, according to preliminary results announced by independent analyst Generation Research, and they are projected to reach US$64 billion by 2015. Last year (2012) wine and spirits in global travel retail with total sales reaching 29.1m cases, up 4% from 2011, according to the IWSR Duty Free/Travel Retail Summary Report 2013. Once again, spirits out-paced wines with a sales growth of 5.2% to 21.4m cases. The compound annual growth rate (CAGR) since 2007 is 4.7% despite the market’s sharp fall in 2009. Overall wine sales were fairly stable with growth of just under 1% in 2012. Vermouth and fortified wines declined, while still light and sparkling wines (including Champagne) drove growth. There was growth for all major regions: Europe saw the biggest jump in wines and spirits sales – an increase of 431,000 cases. Strong growth in travel to Central and Eastern Europe offset slower growth in travel to Western and Southern European destinations. However, volumes declined in the region’s biggest market, the Nordic countries. Africa and the Middle East was the fastest-growing region in percentage terms, rising by 13.7%. North Africa’s tourism market recovered well in 2012 after 2011’s downturn due to civil unrest. Travel to sub-Saharan African countries continues to grow. In the Middle East, the Gulf duty free market continued its rapid expansion. Asia-Pacific also remains strong and enjoyed a 4.2% increase in volumes in 2012, as intra-regional travel continues to grow. A decline in sales in the Americas’ biggest duty free market, Brazil, meant slower growth in Latin America, while sales in the more mature North American market rose by 1.9%. Scotch remains the largest spirits category in travel retail and the largest-growing category, adding 472,700 cases in 2012; this growth is mainly due to the top brands. Market leader Johnnie Walker added 310,000 cases in 2012. The total whisk(e)y category performed well globally last year, with US and Canadian whisk(e)y both growing by 9%, Irish whiskey by 8%, Scotch by 7% and other whisky by 5%. Vodka is the second-largest category and the second-largest growing. There was double-digit growth in Russia, Ukraine and other Eastern European markets, plus Spain and Latin America. Strong growth in Germany and the British Isles helped the vodka category continue its rapid expansion. The annual TFWA World Exhibition, the industry's premier duty-free and travel retail five-day event, commences on Monday 21st October in Cannes, France. Last year the exhibition saw a total of 6,074 trade visitors, up 4% on the previous year, from 2,877 companies browsed the aisles, viewing, sampling and discussing the product portfolios of the 462 exhibiting companies present, of which more than 20% were wine and spirits. This show is the launch pad for many luxury brands, brand extensions, and travel retail exclusives – tempting offers for travellers that will help continue the strong sales growth this sector has been enjoying. As always, the wines and spirits producers will be presenting numerous new, as well as established, products along with eye-catching gift packs exclusive to the sector. Damaine di Tariquet will be introducing its new visual identity, which will be appearing on its bottles and cases over the coming weeks. 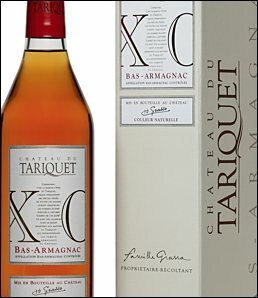 The redesign has also created the opportunity for the producer to emphasise the fact that the colour of Tariquet Bas-Armagnacs is totally natural by including the words ‘couleur naturelle’ on the label. The packaging of the Premièrs Grives cuvee has also been developed to look more elegant and gain greater visibility on shelf. After exhibiting at the TFWA Singapore last May, Janneau, the first export brand for Armagnac, will be exhibiting for the first time in Cannes with its own stand. Janneau is an international brand focusing exclusively on a premium positioning in Armagnac with VSOP, XO Royal and older qualities, including Vintages. A few years ago it launched a unique Single Distillery range. Last year it presented a new Vintage Strategy, in reason of its vast Vintage stocks, including a Special Edition: the Dragon Vintages which has proved to be a great success. In the duty free sector, Janneau is looking to supply more of its XO's and Vintages. Barton & Guestier will present its new wines and exclusive packaging for travel retail. These include a sparkling rosé in premium and distinctive packaging with an elegant and clear label to highlight the fine and delicate bubbles, plus a new prestigious French AOC, Thomas Barton Réserve Saint-Julien, which is exclusive to duty free and the on-trade. Described as full and harmonious with velvety tannins, this wine is said to offer “an ultimate experience in the Bordeaux vineyard”. 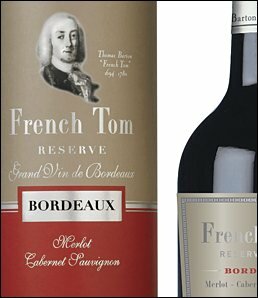 French Tom Réserve – two AOCs Bordeaux and Médoc – are also duty free exclusives and perfect for gifting with their glossy labels and elegant canisters. And for younger consumers, Barton & Guestier suggests Fleur de Vigne – two aromatic varietal blends with trendy labels and screwcap closures. For the first time Symington Family Estates, owner of a portfolio of prestigious premium Port brands including Graham’s, Cockburn’s, Dow’s and Warre’s, will be present, as an exhibitor at the TFWA World Exhibition in Cannes. Symington’s decision to participate at this year’s event reflects the company’s ambition to continue to grow and strengthen its visibility within this sector. It aims to showcase its range of premium quality Ports including Graham’s new range of Aged Tawnies, strengthen current relationships and establish new partnerships. Johnny Symington, joint MD and Symington’s travel retail director will be on the stand for the duration of the show. Since July 1st this year, Jose Cuervo International has been distributing its tequila portfolio directly to the European Duty Free channel. Previously, this was handled by Diageo. Jose Cuervo aims to get stronger within the tequila super/ultra premium category and will be presenting its super premium 1800 tequila, which has been a big success in the US and has been launched in many markets globally. Very distinctive by its packaging and very smooth taste wise, it is a “fantastic product positioned at an affordable price”, the company says. 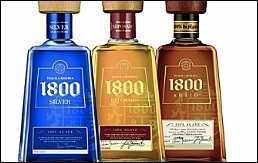 The 1800 range of 100% Agave super premium tequilas takes its name from the year 1800, which was when tequila was first aged in oak barrels to create a smoother, richer taste profile. Patrón Spirits will be launching its first extra añejo tequila, Gran Patrón Piedra, into the European market for the first time in Cannes. First introduced at the 2013 Duty Free Show of the Americas in Orlando earlier this year, this sophisticated luxury spirit, which has been aged for more than three years in new American and French oak barrels, has equally stylish pack aging. The hand-numbered bottle, which was inspired by the Tahona stone, has been placed in an elegant box that easily converts into a beautiful display case. 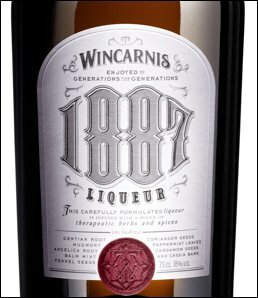 Wincarnis 1887 liqueur was unveiled in Singapore Duty Free Shopping by Ian Macleod Distillers in August this year, and following an exclusive six months in this outlet, it will be available for sale in global travel retail markets from February. The liqueur is based on a modern interpretation of a classic Victorian recipe for Wincarnis Tonic Wine, first formulated in 1887 in Norwich, England. Sharing many of the same ingredients, Wincarnis 1887 liqueur has been created specifically for today’s palate. It has a rich and smooth taste; a delicate citrus complemented by cloves, cinnamon and nutmeg, with a fresh and clean finish leaving a moreish, beautiful spicy intensity. The packaging has a contemporary but still traditional Victorian eye-catching design, which will give premium standout on shelf and encourage trial and sales. 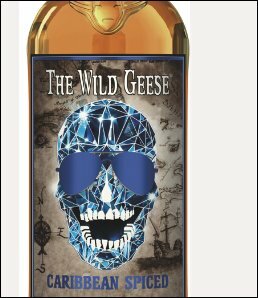 The Wild Geese Caribbean Spiced, the latest addition to Protégé International’s multi award winning Wild Geese rum collection, is launching at TFWA Cannes this year. 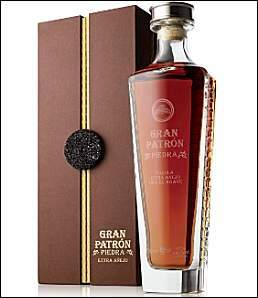 Made with golden Caribbean rum aged for up to five years, and blended w ith tropical fruits around a heart of spice. Subtle yet strong, this rum is made for mixing. 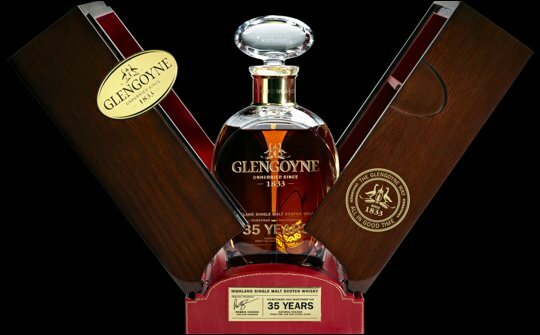 Ian Macleod Distillers will present in Cannes its 35yo Glengoyne Highland Single Malt Scotch Whisky to the travel retail community. This limited edition of only 500 globally is packaged in a bespoke hand-blown crystal decanter engraved with gold inlay and individually numbered on its gold collar. Presented in a solid oak lacquered gull wing box with a hand-stitched ‘Bentley Red’ leather interior and base, the gift box also comes complete with an individually numbered leather book, which tells the story of the brand. The Macallan in Lalique - 62 years old, a Highland single malt Scotch whisky malted exclusively in oak sherry casks from Jerez, Spain. William Grant & Sons will unveil a new Age of Discovery Collection along with other travel retail exclusives including the Glenfiddich Cask Collection, three exclusive single malt Scotch whiskies created using Glenfiddich’s Solera Vat technique. 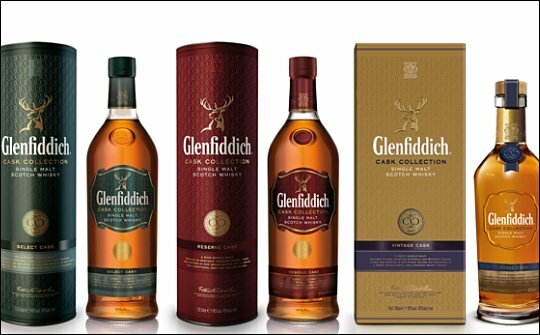 This collection consists of Glenfiddich Select Cask, Glenfiddich Reserve Cask and Glenfiddich Vintage Cask. The characteristics of each whisky are the result of maturation in a variety of oak casks, followed by a finish in handcrafted wooden Solera tuns. Pioneered by Glenfiddich in 1998 to create its 15 Year Old, the Solera process marries the whisky together for at least two months, until deemed ready by malt master Brian Kinsman. The technique guarantees the continuity of the whisky's flavour and taste by ensuring that the tun is never less than half full and is constantly replenished. Each whisky has an ABV of 40%. Glenfiddich Select Cask and Reserve Cask are presented in the familiar triangular bottle, while the Vintage Cask is in a 70cl bottle, packaged in a presentation box. Glenfiddich Select Cask and Reserve Cask will be available as a global travel retail exclusive from 1st September, and the Vintage Cask from early 2014. The full range will be available across all global travel retail outlets from April 2014. 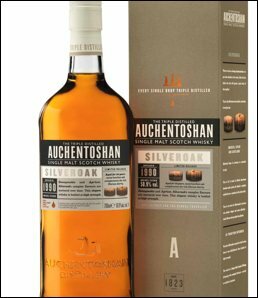 Auchentoshan, Scotland’s only triple distilled single malt Scotch whisky, has addd to its travel retail range a second limited edition release of the Auchentoshan Silveroak 1990, 50.9% ABV. Following on from the success of the first batch of Silveroak, this 2013 release of the 1990 vintage benefits from having been matured an additional year in North American bourbon and Spanish Oloroso sherry casks, revealing extra complexity.